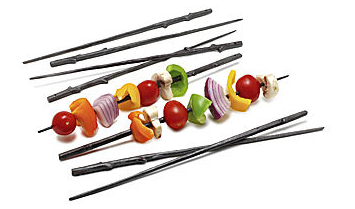 Get back to nature with cast iron twig skewers! These stylish BBQ accessories add a little flair to your get-togethers. Of course, they're not just for looks--the cast iron branches distribute heat evenly, ensuring that your kababs are deliciously done. A non-stick finish makes for easy clean up.